you will sit in warm, cosy and romantic surroundings. Over a lunch or dinner, you will be transported to Sicily, Sardinia or Piedmont. 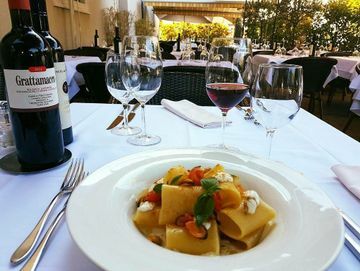 Via Roma, come and savour Italian specialities in the very heart of the Sardinian quarter in Geneva. 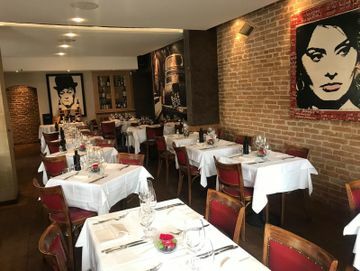 Your Italian restaurant Via Roma organises private customised events. Antipasti, primi piatti, secondi piatti and dolci, delicious dishes that will delight your taste buds. The food, the service and the ambiance was all superbe!!! We loved the pasta with lobster and the fritto misto as well as the risotto Nero. We can't wait to go back again for dinner. Excellent food and service. 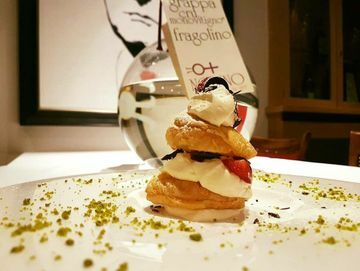 Great Italian menu with a focus on seafood with a superb wine list located in heart of Carouge.